Each year, select museums and libraries with outstanding records of community service receive the Institute of Museum and Library Services’ National Medal for Museum and Library Service, the nation’s highest honor for museums and libraries. Since 2009, the program has documented personal stories demonstrating the ongoing impact the award-winning institutions have in their communities. The stories are captured on audio files by StoryCorps, a national nonprofit organization dedicated to recording, preserving, and sharing the stories of Americans from all backgrounds and beliefs. 2017 Medal Winners interviews will be available at the end of 2018. StoryCorps’ mission is to preserve and share humanity’s stories in order to build connections between people and create a more just and compassionate world. Each week, millions of Americans listen to StoryCorps’ award-winning broadcasts on NPR’s Morning Edition and on StoryCorps' Podcast. 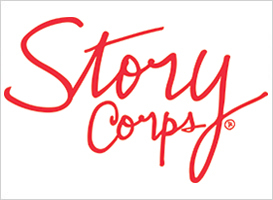 StoryCorps’ major funders include: The Corporation for Public Broadcasting (CPB), The Rockefeller Foundation, The Ford Foundation, The Fetzer Foundation, and MacArthur Foundation. StoryCorps also relies on the support from its participants and listeners. For more information, or to listen to stories online, visit StoryCorps.